Japanese Greco-Roman wrestling champion and MMA prospect Katsuya Kitamura tested positive for the anabolic steroid drostanolone. Drostanolone enanthate is the active ingredient in Masteron. The Japanese Anti-Doping Agency (JADA) banned Kitamura for two years which means he will miss the 2012 London Olympics. The three-time Japanese national champion in the 96-kilo Greco-Roman wrestling weight class had hoped to represent Japan once again on the international stage. Kitamure blamed the positive steroid test on the use of contaminated dietary supplements he had purchased overseas. The Japan Wrestling Federation (JWF) wasn’t buying the explanation. “We never thought our wrestlers bought supplements from overseas,” Japan Wrestling Federation (JWF) general secretary Yuji Takada told local media. Katsuya Kitamura had planned on pursuing a career in mixed martial arts (MMA) after competing in the Olympic Greco-Roman wrestling competition. Last year, Kitamura signed a developmental contract with the Sengoku Raiden Championship (SRC). 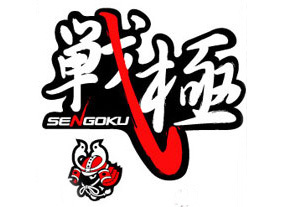 SRC is the major MMA competition in Japan promoted by World Victory Road and the Japanese Mixed Martial Arts Federation. Major SRC MMA athletes include former Ultimate Fighting Championship (UFC) heavyweight champions Josh Barnett and Kevin Randleman. Given Kitamura’s ban from the Olympics, it is possible that he will move up his plans to compete in MMA.